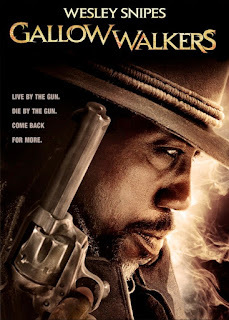 Gallowwalkers (yes, all one word) takes us to the old west where a badass looking Mr. Snipes is hunting down a specific individual all while doing Sub Zero head-rip fatalities and being a rad cowboy. We come to find that the man he's looking for is a strangely skinless person that steals the flesh from a young man and harasses a cult known as Enoch's Hammer. His actions are all because he thinks that Mr. Snipes killed his son. Wesley picks up a sidekick at some point and then everyone meets on the farm where our hero was raised for some final gun shooting and rock throwing. Okay, real talk, as hyped as I have been sounding with this review, this film isn't that great. 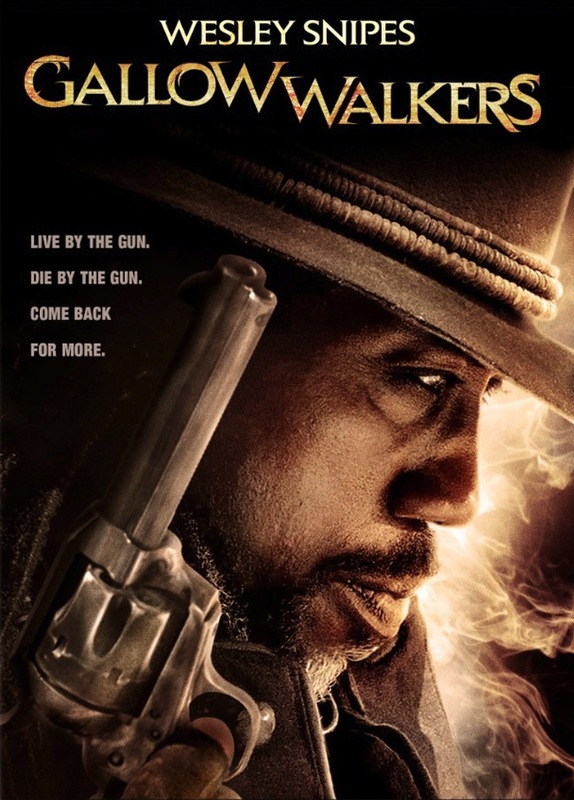 Wesley Snipes looks cool but when he talks it feels lackluster for someone that is meant to be a shoot-first-growl-talk-later type of guy. As a "presence" though, he kills it. The plot and character design are what saves Gallowwalkers for me. If this were just a bunch of jagoffs in cowboy hats shooting each other because of "reasons" then I would've counted this as a total loss. Instead we have men that steal the skin of other men (and in one case, lizards), carrying around a crucified mummy, all while hunting down Wesley Snipes. On the other side we have sick dreadlock and grey-in-the-right-places Wesley hunting them down in return and ripping people's heads and spines off to satisfy his own revenge, and counter the curse upon him.